• Folders are labeled by stickers according to their content and categorized alphabetically in cabinets. Such a filing system is typically cumbersome and difficult to update. • As data quantity increases, so does the effort required to sort and find information. A misplaced folder would be difficult to find. 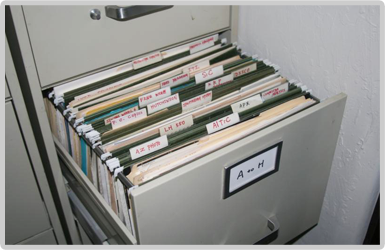 • Alphabetically ordered folders may be easy targets of theft or tampering. • In Asian languages that are based on characters instead of alphabets, folders cannot be filed alphabetically using traditional cabinet filing systems. Using the application, you can double click on a folder to determine its physical location (e.g. PG&E). The computer will generate a map that will tell you where the folder is located within the network of cabinets. The corresponding cabinet drawer will unlock automatically as the drawer LED blinks. An LED on top of the requested folder will blink, which would the location of the folder. 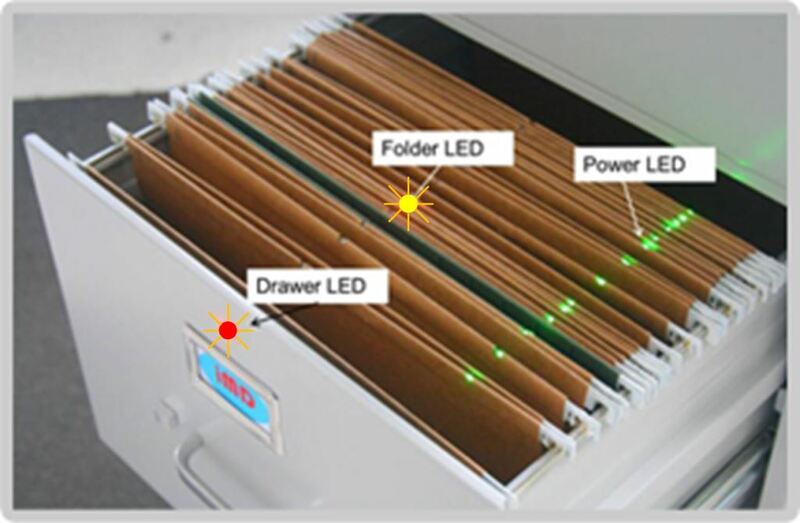 The green Power LED indicates that folder is in good contact with the drawer. When re-filing, press the red "RE-FILE" button at the top left of the filing cabinet. 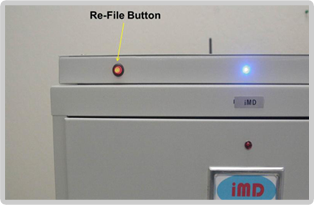 Once the RE-FILE button is lit, proceed to place the folder(s) in the drawer. 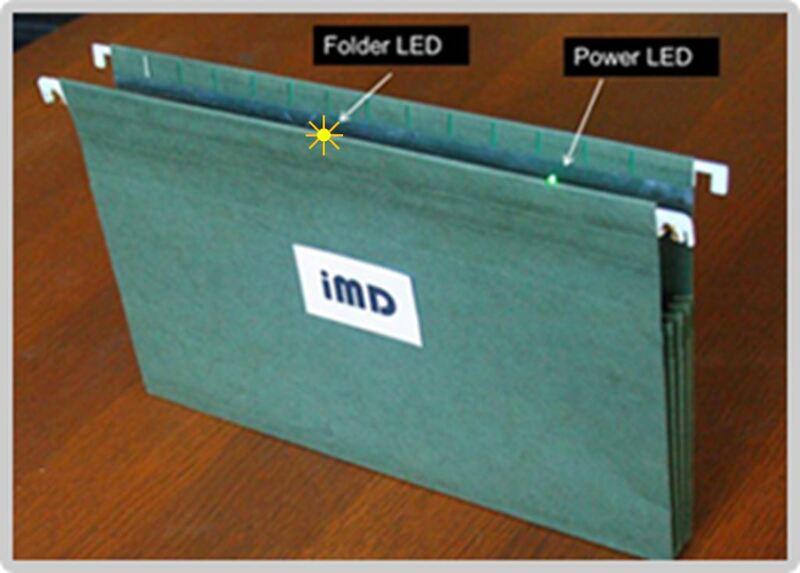 The green Power LED on the folder(s) will light, and a BEEP sound will indicate that the folders have been re-filed successfully. The Power LED will power off automatically after 30 minutes to reduce electricity consumption.